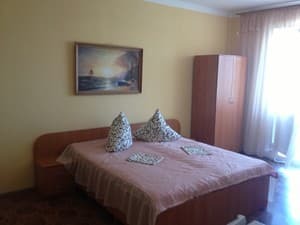 The boarding house "Arcadia" is located on the Ukrainian part of the Black Sea resort of Koblevo, in five minutes walk to the seashore (100 m). The hotel offers rooms of various categories, each of which has a TV, refrigerator, air conditioning. Cold and hot water is supplied around the clock. At guests' disposal in the boarding house "Arcadia" there is a conference hall, a shop, paid parking, various entertainment facilities: billiards, table tennis, library, playground for children. 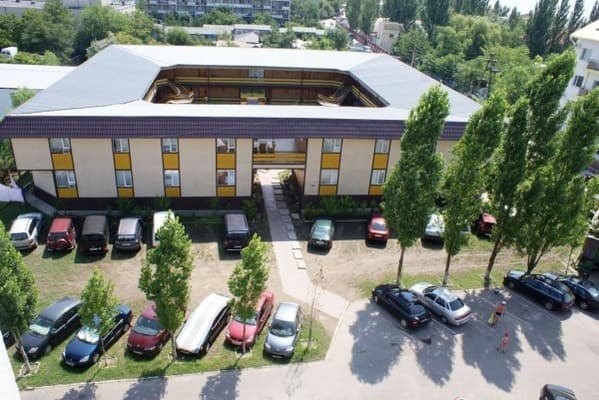 The hotel has a cafeteria-canteen, which offers a large selection of home-cooked dishes. 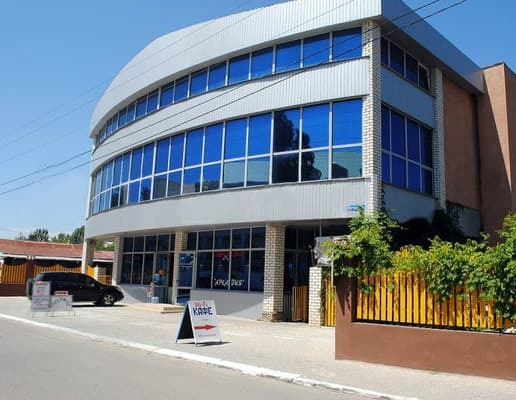 Near the boarding house there is a grocery market, a pharmacy, a communication center, a currency exchange office. Distance to Nikolaev - 70 km, Odessa - 40 km. 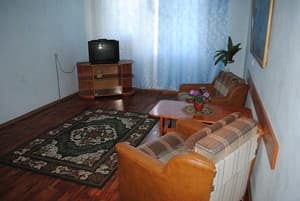 Description of the room: Duplex room, equipped with comfortable furniture (sofa, double bed, wardrobe, pouf, table) and everything necessary for comfortable living. 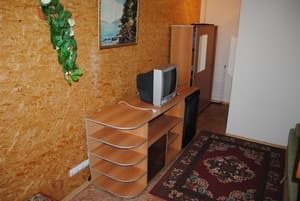 Description of the room: Two-room suite, equipped with everything necessary for comfortable living. Description of the room: Duplex room for 5 people. On the first floor of the sofa, cupboard. On the second floor there are three separate beds, a women's table. 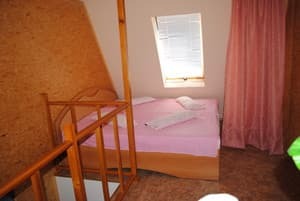 Description of the room: Two-room suite with a double bed and a sofa bed. The cost of extra space for an adult is 100 UAH. Children under 6 years are accommodated free of charge without a seat. 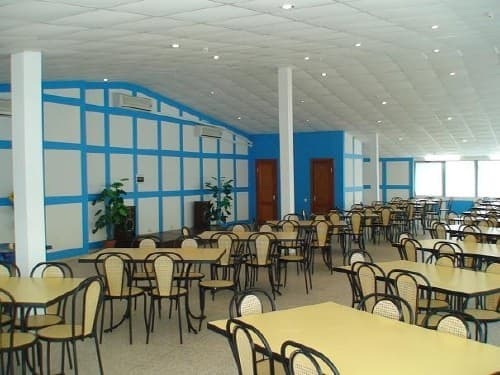 The hotel has a cafeteria-canteen, which offers a large selection of home-cooked dishes. 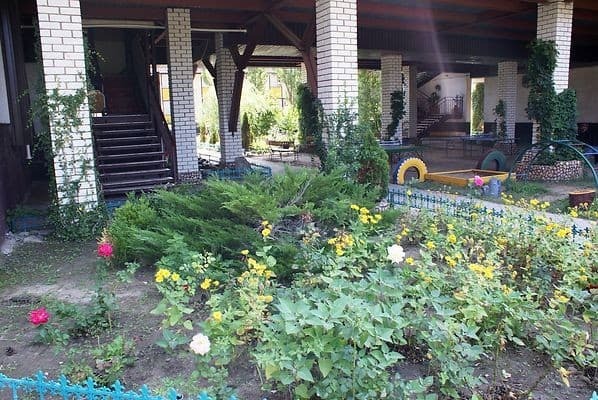 The boarding house is located on the Ukrainian part of the Black Sea resort of Koblevo. Distance to Nikolaev - 70 km, Odessa - 40 km. GPS coordinates: N 46 ° 37 "33.7" E 31 ° 11 "47.1"
From Odessa or Nikolaev to the village of Koblevo (resort area) you can take a shuttle bus.